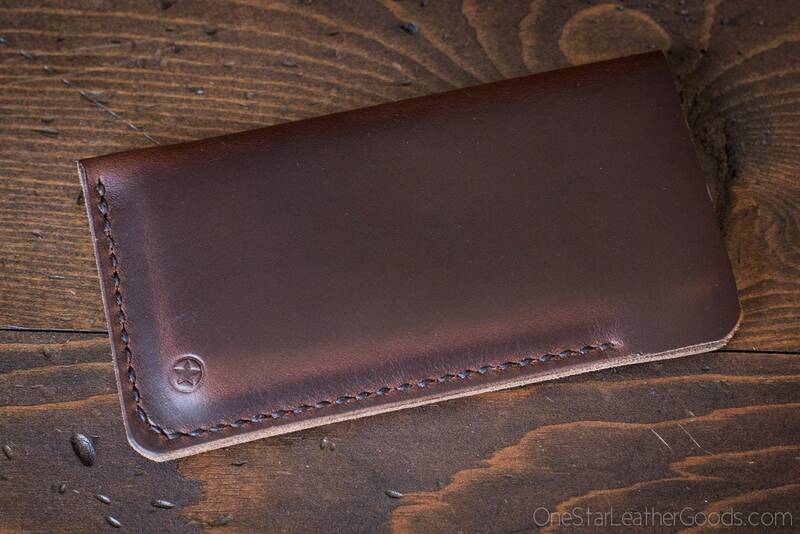 The leather is thick and luxurious Horween tanned in Chicago. It will age and patina gorgeously. The stitching is done by hand. 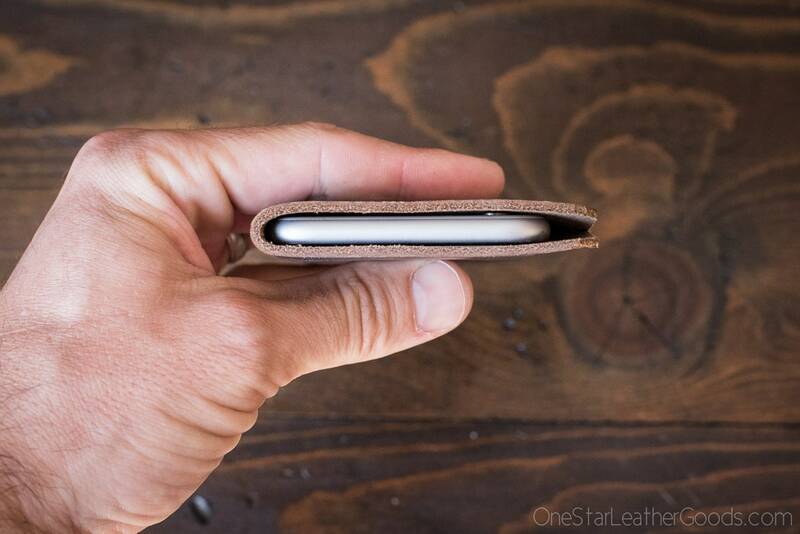 This sleeve is sized for a bare iPhone 6/7/8 with no other case. 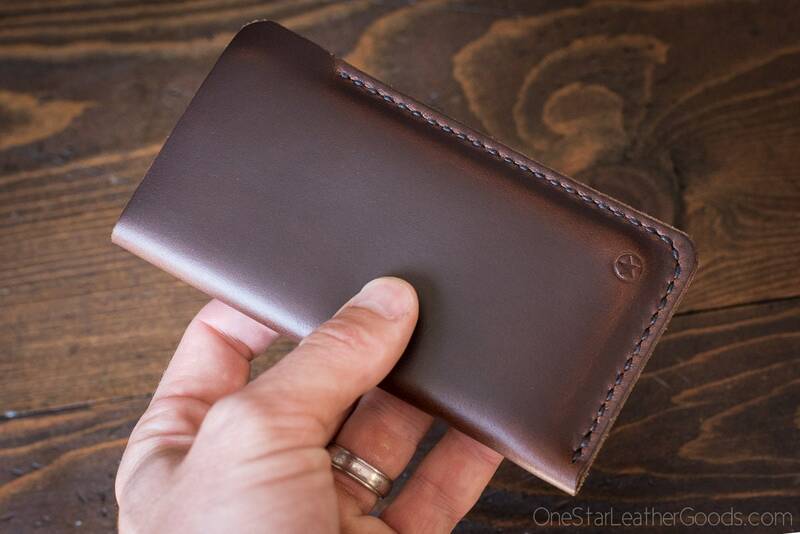 Beautiful soft leather & WELL MADE! Fantastic Sleeve. Top notch. Looks great, feels great and is really well built.